In 2013, the population of monarch butterflies at overwintering sites in Mexico was down by half from 2012. Today the 2014 count, from this past December, is being released, and the numbers are down by half again. 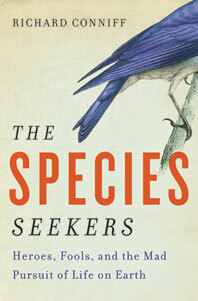 Check out the chart for the steady erosion of one of North America’s iconic species. 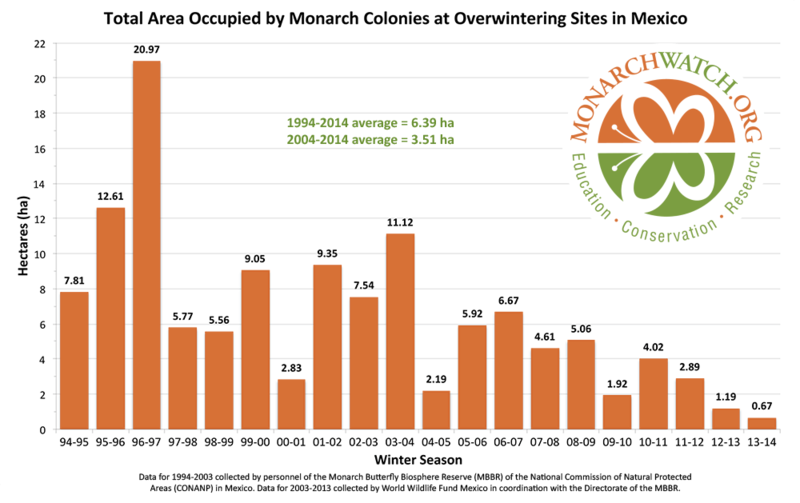 Visit the Monarchwatch blog for the full story, including the loss of an estimated 167 million acres of monarch habitat lost since 1996. This entry was posted on January 29, 2014 at 1:24 pm	and is filed under Conservation and Extinction. Tagged: agricultural intensification, monarch butterflies. You can follow any responses to this entry through the RSS 2.0 feed. You can leave a response, or trackback from your own site.